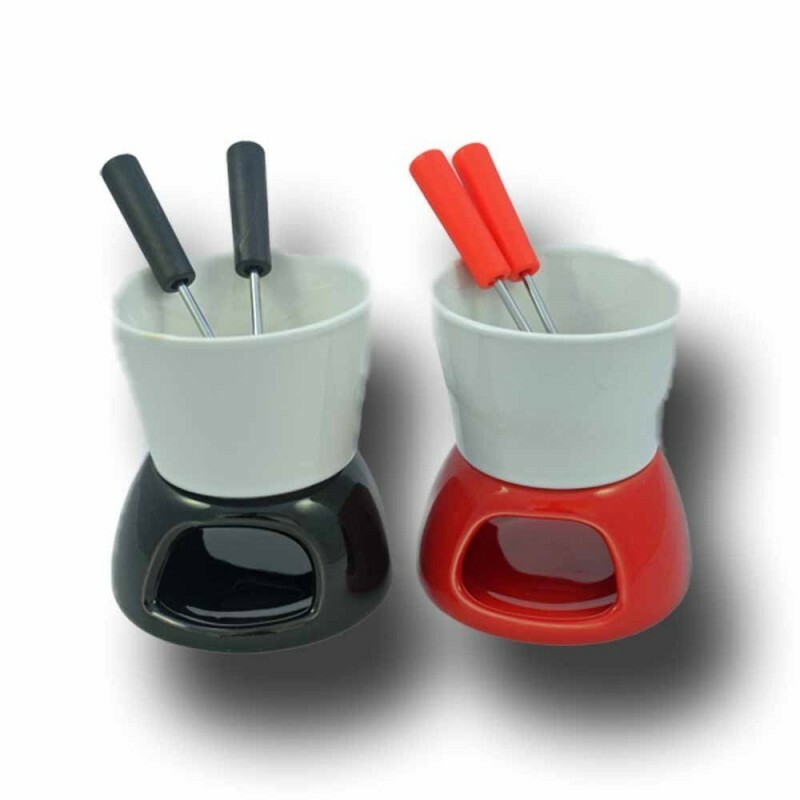 Mini ceramic fondue set with two skewers. It is ideal for a quick snack. 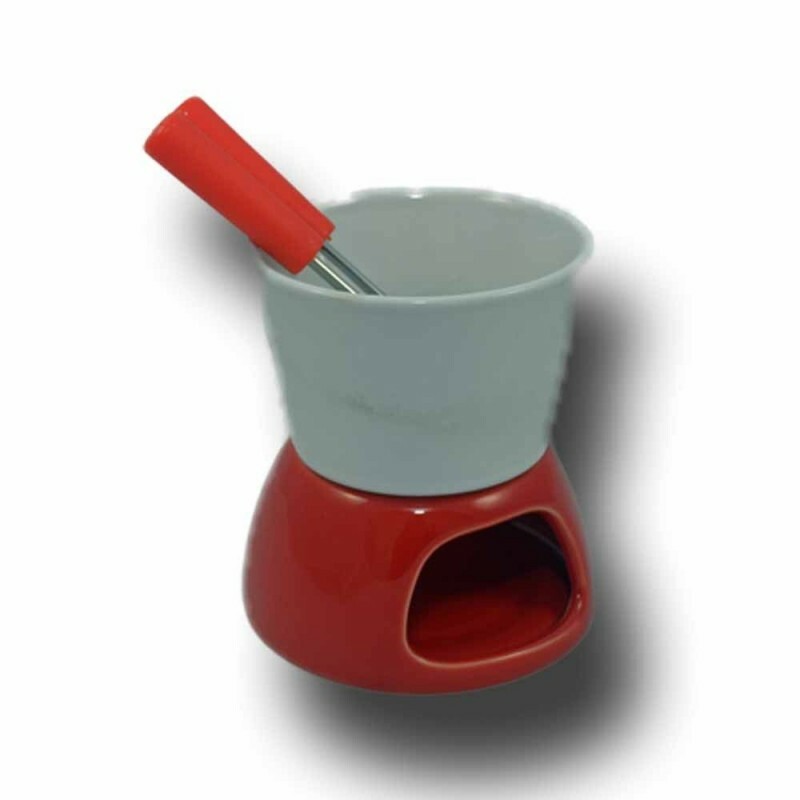 Add a melting cheese and enjoy dipping bread or any other product you desire in it. 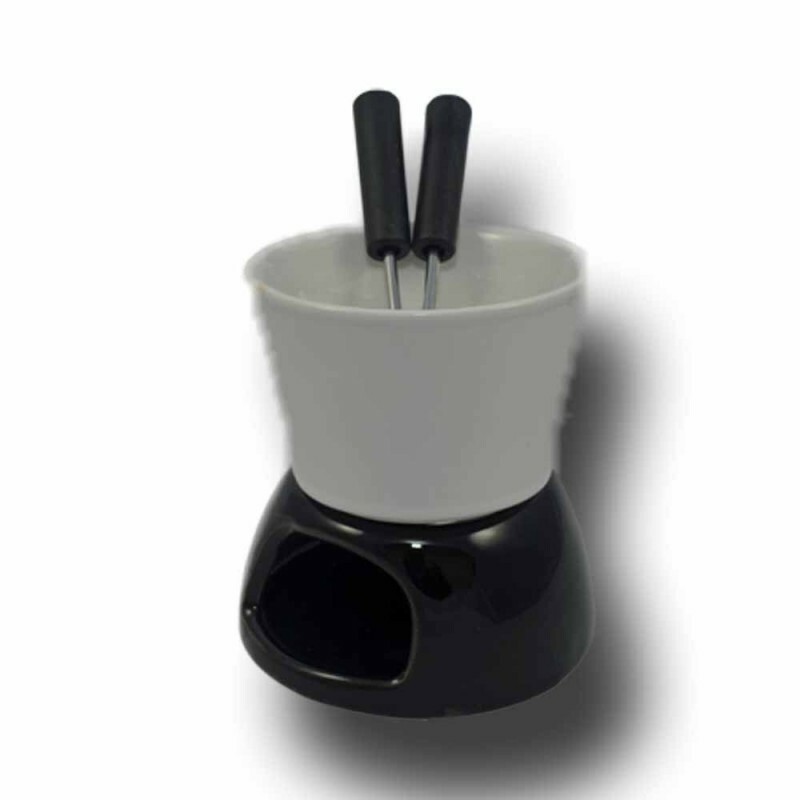 The container is heated with a candle (not included). You can also use it with chocolate to increase its utility. 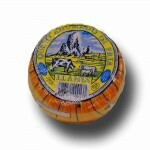 Buy it now on Al Queso, your online shop of artisan cheeses and gourmet products.